The words solar system refer to the sun and all the planets that travel around it, such as planets, moons, meteorites, asteroid belts and comets. The sun is the center of our solar system and it has eight planets orbit around it (Mercury, Venus, Earth, Mars, Jupiter, Saturn, Uranus, and Neptune). Our solar system was formed 4.6 billion years ago. Everything in our solar system is part of a spiral galaxy known as the Milky Way. The sun is a star, it is a hot ball of gases in the middle of our solar system, everything in our solar system orbits around it. Without the sun's intense energy and heat, there would be no life on Earth. 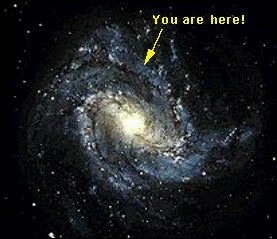 And though it is special to us, there are billions of stars like our sun scattered across the Milky Way galaxy and the universe. The sun does not have a solid surface, it is 92.1% hydrogen and 7.8% helium and it is held together by its own gravity. 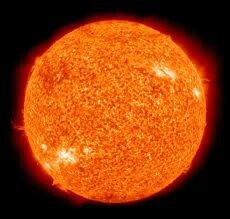 The temperature at the sun's core is about 15 million degrees Celsius or 27 million degrees Fahrenheit. The sun came to be because as a young protostar it was a ball of hydrogen and helium, not yet powered by fusion. Over the course of 50 million years, the temperature and pressure of the material increased and jump started the fusion that drives the sun today.The formation of the sun didn't take up all the cloud it was born from, what was left continued to orbit the star and the rest formed planets and other materials. 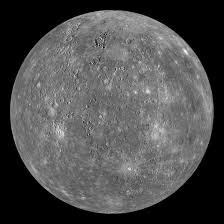 Mercury is the closest planet to the sun, it is slightly larger than the Earths moon and is scorched by the sun. Like the moon, Mercury has very little atmosphere to stop impacts and it is covered with craters. Mercury's day side is super-heated by the sun, but at night temperatures drop hundreds of degrees below freezing. Mercury's egg-shaped orbit takes it around the sun every 88 days. Mercury is the smallest planet in our solar system and is only 58 million km away from the sun. Mercury was formed just like the other rock planets in our solar system, all the dust and solid material was closest to the sun so it clumped together and over time formed into planets. Venus is a dim world of intense heat and volcanic activity. Similar in structure and size to Earth, Venus toxic atmosphere traps heat in a greenhouse effect. The scorched world has temperatures hot enough to melt lead. Below the clouds reveal volcanoes and deformed mountains. Venus spins slowly in the opposite direction of most planets. 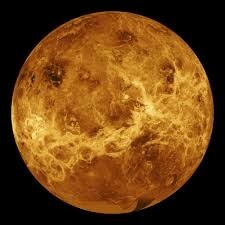 Venus is the second closest planet to the sun at a distance of about 108 million km. One day on Venus lasts as long as 243 days on earth. Venus is a rocky planet and its solid surface is a cratered and volcanic landscape. This planet was created just like the rest. Earth is the only planet in our solar system known to harbor life. All the things we need to survive exist under a thin layer of atmosphere that separates us from the cold, airless vacuum of space. 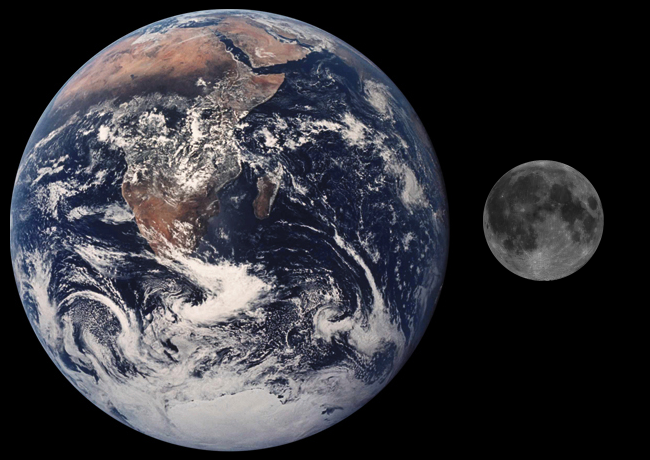 Earth is the third planet from the sun at a distance of about 150 million km from the sun. Earth is also an ocean planet, 70% of the Earth is covered in water. Our planet formed like every other planet. Over millions of years the dust clusters formed into grains, then lumps, boulders and eventually planets lots of gravitational pull. Slowly the rocky planets gained a steady orbit and the earth was still getting bombarded by asteroids and other objects. Our Earth was very hot and was full of lava and molten rock. The heavy material like lead fell to the center of the Earth and created a core. This core was moving and created magnetic poles. A long the line the moon came and crashed into the earth creating the tilt that it has. 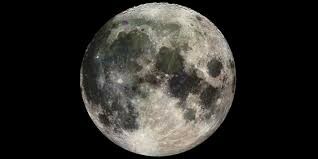 The moon started out close to the Earth and eventually started slowly moving away. The earth over millions of years had comets with ice and that's how we got our water. The earth cooled down and we got our atmosphere that protects us from solar flares and asteroids from damaging the earth and killing all life on it. Mars is a cold desert world. 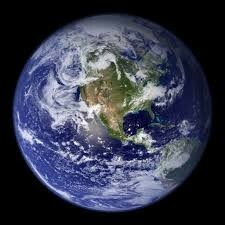 It is half the diameter of Earth and has the same amount of dry land. Like Earth, Mars has seasons, polar ice caps, volcanoes, canyons and weather, but its atmosphere is too thin for liquid water to exist for long on the surface, because solar flares just wipe the water away. There are signs of ancient floods on Mars, but evidence for water now exists mainly in icy soil and thin clouds. 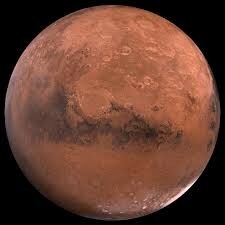 Mars is the fourth planet from the sun at a distance of about 228 million km. One day on Mars takes just over 24 hours and 1 year is 687 earth days. Mars has a thin atmosphere made up mostly of carbon dioxide, nitrogen, and argon. 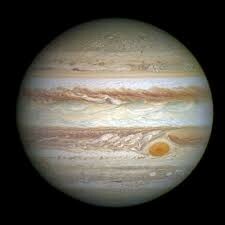 The most massive planet in our solar system is Jupiter, it has dozens of moons and an enormous magnetic field. Jupiter resembles a star because it's so big, but did not grow big enough to ignite. The planet's swirling cloud stripes are punctuated by massive storms such as the Great Red Spot, which has raged for hundreds of years. Jupiter is the fifth planet from the sun, it is at a distance of 778 million km from the sun and it takes 10 hours for it to complete one day. It completes a orbit every 4,333 earth days. Jupiter has 50 known moons with an additional 17 moons awaiting confirmation of their discovery. Saturn is the sixth planet and is unique among the planets. All four gas giant planets have rings made of chunks of ice and rock but none are as spectacular or as complicated as Saturn's. Like the other gas giants, Saturn is mostly a massive ball of hydrogen and helium. Saturn is 1.4 billion km away from the sun. Saturn takes 10.7 hours to complete one day and 29 earth years to complete an orbit. Saturn is made up mostly of hydrogen and helium, which is what was farther away from the sun in the beginning. Its atmosphere is also mostly made up of hydrogen and helium. Saturn has 53 known moons with an additional 9 moons awaiting discovery. Saturn's ring system is made up of 7 rings with several gaps and divisions between them. Uranus is the seventh planet and it is the only giant planet whose equator is nearly at right angles to its orbit. A collision with an Earth-sized object may explain the unique tilt. Uranus is nearly the same size as Neptune and it has more methane in its mainly hydrogen and helium atmosphere than Jupiter or Saturn. 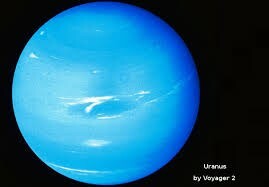 Methane gives Uranus its blue tint. Uranus is about 2.9 billion km away from the sun and it takes 17 hours to complete one day and 84 earth years to orbit the sun. Uranus is a ice giant, 80% of the planet's mass is made up of a hot dense fluid of icy materials. Uranus has an atmosphere which is mostly made up of hydrogen and helium, with a small amount of methane. It has 27 moons and has faint rings, the inner rings are narrow and dark and the outer rings are brightly colored. The last planet in our solar system (besides dwarf planets) is Neptune. It is dark, cold and whipped by supersonic winds, Neptune is the last of the hydrogen and helium gas giants in our solar system. More than 30 times as far from the sun as Earth, the planet takes almost 165 Earth years to orbit the sun. 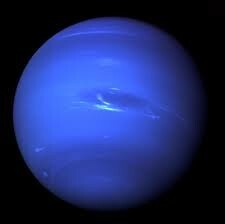 Neptune is 4.5 billion km away from the sun and takes 16 hours to complete one day. Neptune is a sister ice giant to Uranus, it is mostly made up of very thick, hot combination of water, ammonia, and methane. Its atmosphere is made up mostly of hydrogen, helium, and methane. Neptune has 13 confirmed moons and has one more awaiting official confirmation of discovery.